Heart development is a complex process. It requires morphological and functional changes of multiple cell types that must organize into a complex structure. This process necessitates elaborate control of multiple transcripts’ expression in a temporal and spatial manner. 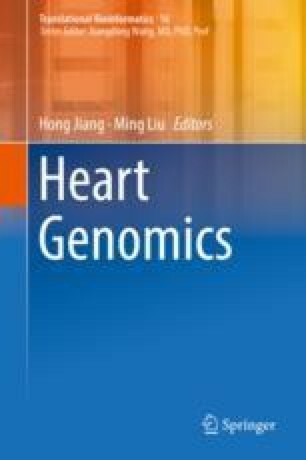 New sequencing technologies, combined with bioinformatics and computational tools, have allowed the scientific community to appreciate the great complexity of the cardiac transcriptome. These will promote the understanding of the complex molecular mechanisms in heart developmental processes. In this chapter, we briefly introduce several major technology platforms of cardiac transcriptome profile and compare the differences between them to realize their better applications in cardiac transcriptomics. Since various cardiac cells play their unique functions in the heart, we describe the expression profile in cardiac development and different conditions by summarizing the expression changes and biomarkers in different cardiac cells. Finally, we review the transcriptomics-based biomarkers or candidate transcripts in several heart diseases including coronary artery disease, congestive heart failure, and common congenital heart disease. Lili Hao and Shiyu Chen are contributed equally with all other contributors.